Đà Lạt, or Dalat, (pop. 206,105 as of 2009, of which 185,509 are urban inhabitants) is the capital of Lam Dong province in Vietnam. The city is located 1,500 m (4,900 ft) above sea level on the Langbiang Plateau in the southern parts of the Central Highlands (in Vietnamese, Tây Nguyên). 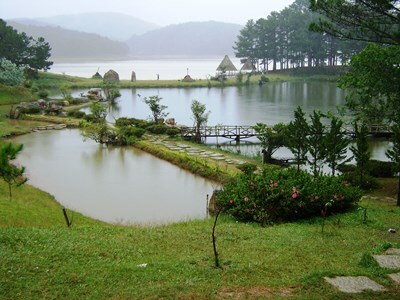 In Vietnam, Da Lat is a popular tourist destination. Da Lat’s specific sights are pine wood with twisting roads and tree marigold blossom in the winter. This description uses material from the Wikipedia article on Da Lat and is licensed under the Creative Commons Attribution-ShareAlike License (view authors). 9 people want to do this.